Woodcarving has a long tradition and finds its roots in the Groeden Valley. Since 4 generations ANRI is the market leader in the production of high quality woodcarvings. 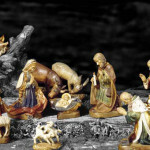 ANRI is committed to meet the various requests from the world wide market and in order to do that has developed a series of nativity sets in Linden wood. 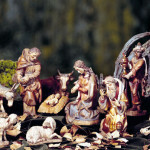 The “Back to the roots” nativity sets are a reminiscent of carvings in earlier days with a more crafty look. 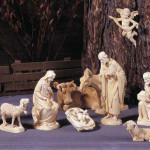 All production details are basically the same as with the regular Maple figurines, except that the “Back to the roots” nativity figurines are painted with water color paints rather than oil based paints, by their skilled artists. This gives the figures a more aged, antique look. The goal of ANRI in this series is to capture the antique/aged look reminiscent of traditional craftsmanship. 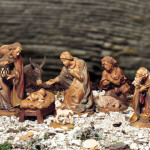 We offer you the “Bachlechner”, “Kuolt”, “Florentiner” and “Walter Bacher” nativity sets from this exclusive line. The small 12,5cm/ 5″ versions of the Original Prof. Karl Kuolt and the Original Walter Bacher nativity come in plain Linden wood. 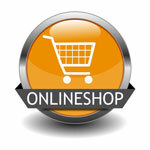 Click the button at the bottom of the page to browse and buy this new line of nativities in our online-store.